As a multi award winning agent, Jenny knows exactly how to market properties effectively to ensure the best outcome for her sellers. Jenny is one of the Peninsula's very best agents with consistent results that make her one of the elite agents in the region. Jenny’s natural enthusiasm for the Peninsula is obvious. As a local, she has a thorough, first-hand understanding of the local market and the people who live there. 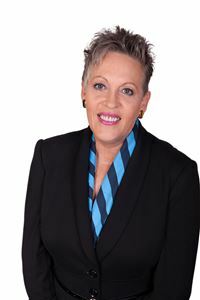 Jenny shares the vision and unparalleled levels of service that have become synonymous with the Harcourts brand. She thrives on the negotiation process and prides herself on her willingness to go the extra mile for her clients. Completely open and honest in her communication, Jenny believes it is her dedication to a professional, seamless sales process that ensures the loyalty of her many satisfied clients.